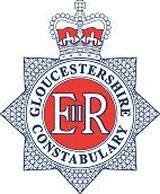 Gloucestershire has developed a Hate Crime Strategy to support victims of hate crime and hate incidents. A range of partners, including Gloucestershire Constabulary and Victim Support, form Gloucestershire Hate Crime & Incident Strategic Group. The group are committed to progressing work around hate crime that ensures those affected get a good response and work is undertaken to prevent such incidents. • Age (including young and old). • Disability (including mental ill-health or learning disability). • Sexual orientation (including lesbian, gay or bi-sexual).